I hate how dry my lips always are. Not just because it's winter, they're always the same whatever the weather. I've tried so many balms yet none seem to give me the hydration my lips crave. The lips don't have any sebaceous glands so they need to be constantly moisturised and the outer edge (the vermilion boarders) loose their smoothness with age. My lips are quite lined now, due to various reason I think, but I guess the truth is I've never really looked after them, not really used any type of SPF on them and now I regret it. The lines are ageing and I hate them when I look in the mirror. I wanted to see if there was something that could perhaps try and reverse what I was seeing. I'd read a few reviews on the SkinCeuticals AOX Lip Complex which were all really good so thought I'd take the plunge and buy one. It contains two powerful antioxidants, vitamin E and Silymarin helping to prevent environmental damage whilst smoothing and rehydrating the lip surface. It also has a combination of hyaluronic acid, hydroxyethyl urea and glycerin to help retain water to rejuvenate, reshape and replenish the lips. It's a creamy formula and whilst it does gives me instant relief on application I can't be 100% certain it's had much of an effect on the lines. The outer boarders do look a bit more plumped so I guess that's a result. The instructions say to apply once or twice a day and pat into the lips. I always apply before I go to sleep as a bit of an intensive night treatment but I still wake in the morning with slightly flaky lips. If I'm honest I've only just began to apply in the mornings so maybe I'll start to see more results using it twice a day. 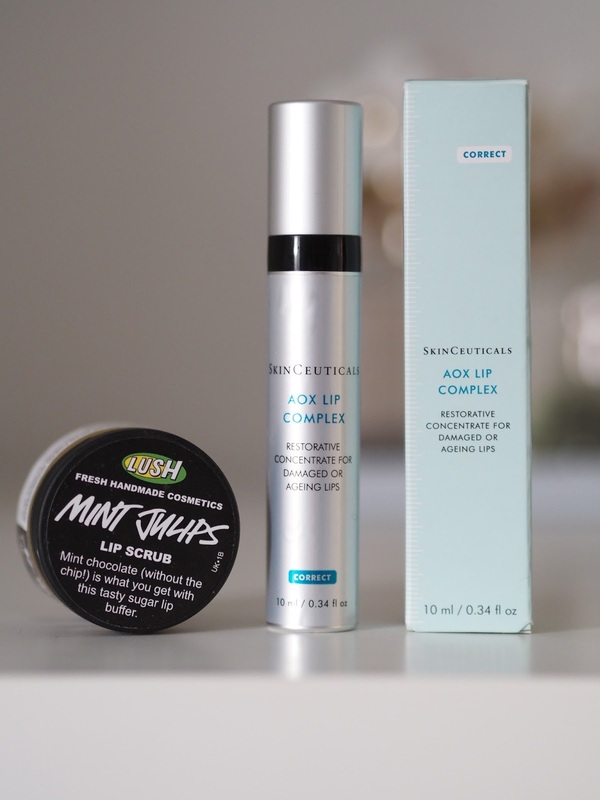 I also give my lips a scrub now and then with the LUSH mint julips lip scrub which does help, although I think I need to use it more than I do. The only issue I still have (at the moment) is that in-between the morning and the night my lips are as dry as hell. It does offer great hydration whilst it's on but as soon as it's worn off I need to reach for other balms throughout the day so my lips don't shrivel up and drop off!!! 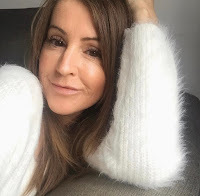 Overall, I am impressed with the SkinCeuticals AOX lip complex, and I think it's one of those that with continued use, you'll get better results long term, so continue I will and a re-purchase will probably be on the cards! You can buy yours from Dermacare Direct or head to SkinCeuticals to find your nearest stockist of their products. Do you look after and protect your lips? Is this something you'd like to try? Sounds good! I like the idea of that lip scrub too! !